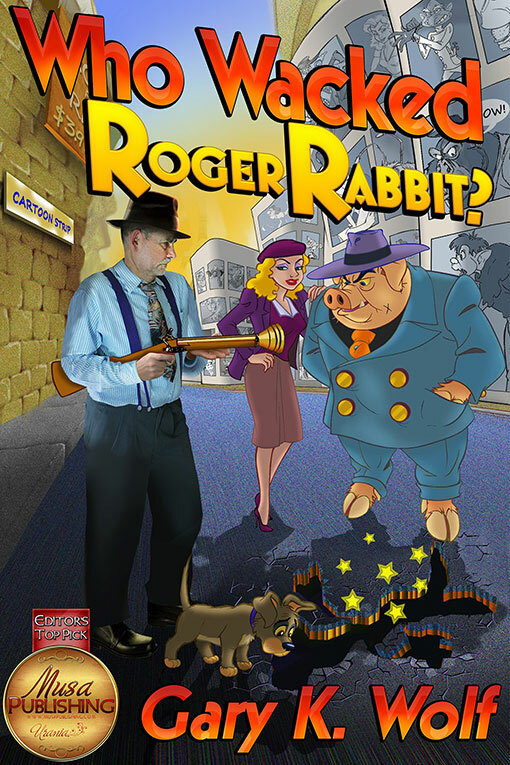 In 1991 Wolf penned Who P-P-P-Plugged Roger Rabbit?, in which Roger wants to land a role in the Gone With The Wind toon remake, but is concerned with Jessica's connection to Clark Gable. Eddie is again thrown in the middle when a murder case appears. 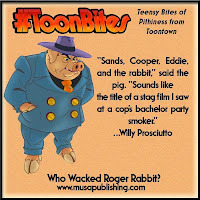 It's been over 20 years since the last book, but the bunny is back in a third novel, Who Wacked Roger Rabbit? 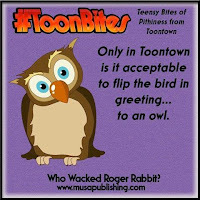 Much like the ink and paint which brought Roger Rabbit famously to life on screen, it's Gary Wolf's words that bring us back to Toontown with our familiar characters for more hare-rasing havoc. While most of us know the world of Roger Rabbit through the movie, Gary started it all by creating a deeply rich world of toons and humans living together - mass hysteria! The new book very intricately combines aspects of the movie and his original story. Our lovable, albeit cranky, Eddie Valiant is back and has been hired by a struggling producer as Gary Cooper's bodyguard. Location scouting is set for a big movie called Hi, Toon!, a movie to star Coop and none other than Roger Rabbit! The film is being shot in Toontown, and someone doesn't want that to happen. While Cooper is in serious danger, a mysterious murder goes down. Naturally, Eddie find's himself, and Roger, in the middle of it all again! Never to be upstaged, Jessica Rabbit is back as well and proves she's not just a pretty face - but also a natural investigator. Complete with new costumes, and armed with tripple-sided ennuendo, she finds herself in a triangle of trouble once more with Eddie and her honey bunny, Roger. 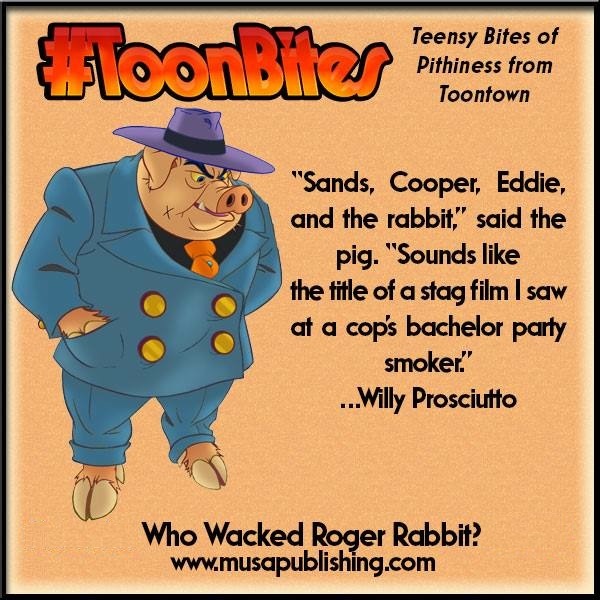 A corral of colorful new characters and humorously strung together lines will keep you laughing at the "toon-logic," wrapped up in a murder mystery and back inside the world that is Roger Rabbit. 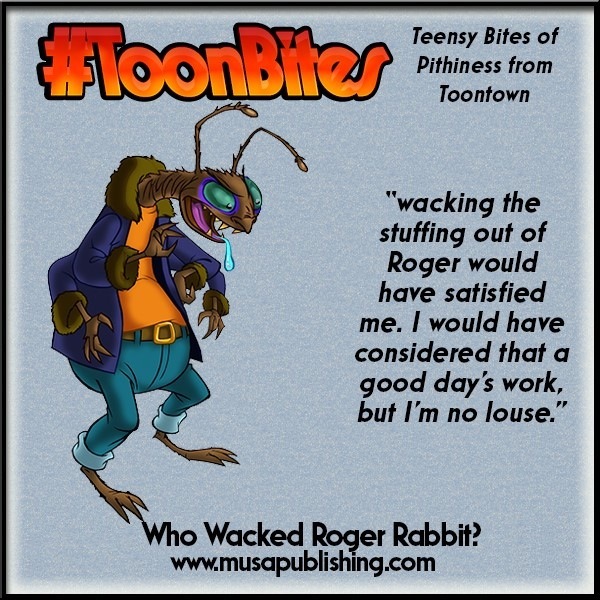 Have you ever wondered why Toons wear the same clothes all the time? What movie was Jessica's first starring role? Which famous cartoon duo appears in the book? What connection does Jessica have to the equally scintillating and shapely Honey Graham? 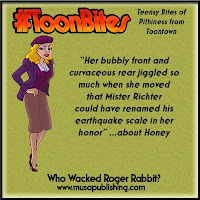 FIND OUT the answers to these and more goofy, toony, loony questions in Who Wacked Roger Rabbit? The Who Wacked Roger Rabbit? eBook by Gary K. Wolf through Musa Publishing goes on sale November 29th.